Spelt is a relative newcomer to baking but it's an ancient grain. It's mentioned in the Book of Exodus and has been cultivated for 5,000 years. It's achieved a meteoric rise in popularity during the last couple of decades with numerous celebrity endorsements. It's a hybrid of Emmer Wheat and Goat Grass and grows five feet high whereas modern wheat has been bred down to a more machine-friendly waist height. Unlike modern wheat it's a `covered' grain so the husk has to be removed before it can be milled. This allows a more delicate kernel to develop making it ideal for organic production. Is one of the earliest known food plants and was cultivated by the Incas and Aztecs. It's gluten free and is highly nutritious. 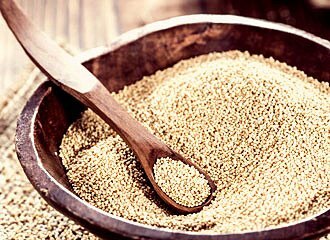 You will need quite a bit of water when cooking amaranth: 6 cups (1.5 L) of water for 1 cup (250 mL) of amaranth. Gently boil the amaranth for 15 to 20 minutes, rinse and then fluff it. Amaranth can be added to soups, salads and stir-fries, and amaranth flour can be used in baking. Pronounced "keen-wah," is actually a seed, not a grain and it has long since been considered a superfood. It was known as the "mother of all grains" by the Incas and it formed the centrepiece of the Andean diet. It has gained enormous popularity thanks to its high protein levels (it is a complete protein containing all nine essential amino acids), and because it is gluten free and easy to digest. Quinoa needs to be rinsed well before cooking. It's excellent in casseroles, soups, stews, stir-fries and salads. The seeds are prepared similarly to rice and cook very quickly in about 15 minutes. Millet has a mild, sweet, nut-like flavour. It is one of the first cultivated crops and is a staple food in India, China and Africa. It is another gluten-free seed with high nutritional value. It is an excellent source of protein and is high in fibre and B vitamins. Depending on the cooking style, the texture can range from fluffy to creamy. 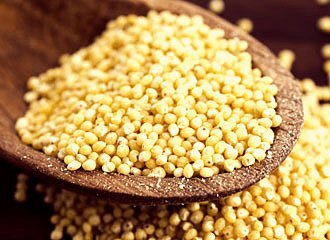 When cooking millet, you will need one part millet to two-and-a-half parts boiling water. Once the water has come to a boil, lower the heat and let the millet simmer for 25 minutes with the lid in place. 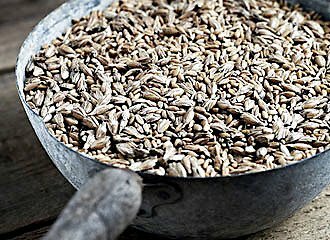 Known as an ancient cereal grain, kamut is an excellent alternative to traditional wheat. 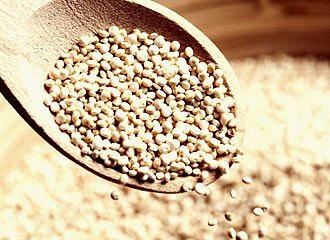 The protein content is significantly higher and it also has a high amount of selenium, giving this grain strong antioxidant properties, which help protect the immune system. 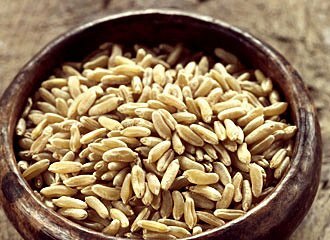 Kamut is known to have a natural sweetness, which makes it a great grain for baking. When cooking kamut, it is best to soak the grain overnight. Use three parts water for one part kamut. Once the water has come to a boil, reduce the heat and allow the grain to simmer for 30 to 40 minutes, depending on the tenderness you prefer.